Growing children need sufficient nutrients for development. Experts from the Department of Nutrition & Dietetics, KK Women's and Children's Hospital share their top picks and how to prepare them. ​need sufficient nutrients for growth and development. 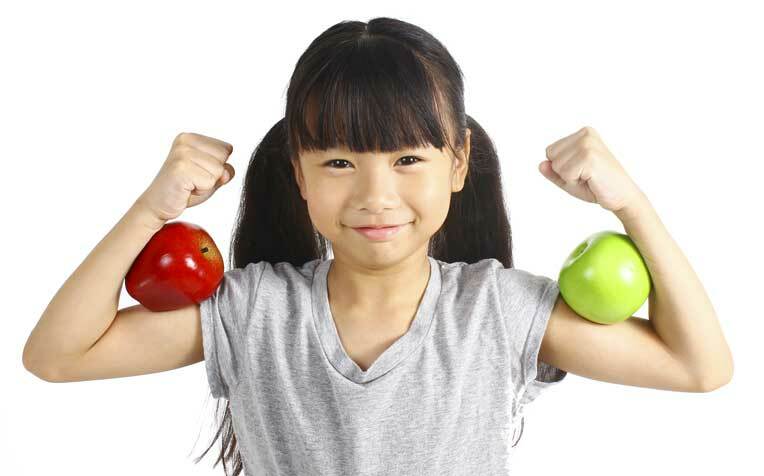 Dr Han Wee Meng, Head and Senior Principal Dietitian at the Department of Nutrition & Dietetics, KK Women’s and Children’s Hospital (KKH), a member of the SingHealth group, shares the 10 top foods for growing children and tips on how to prepare them. Fibre in these foods maintains digestive health and prevents constipation. How to prepare it: Give your child wholegrain cereals and biscuits as snacks. Mix whole grains (brown rice or wholegrain bread) with refined grains (white rice or white bread) to help her get used to the taste. It is a great source of protein and iron. Iron optimises brain development and function, and supports the immune system. How to prepare it: Choose tender cuts of meat, and mince or cut into small pieces. Mix minced beef, chicken or fish with mashed tofu, eggs, breadcrumbs or mashed potatoes to make meatballs or patties. Packed with protein, fish helps build healthy muscles and bones. Oily fish like salmon, tuna and sardines also contain high amounts of omega-3 fatty acids, which support eye, brain and nerve development. How to prepare it: Coat fish in a batter of rice krispies, crushed cornflakes or wholegrain breadcrumbs. Mix fish with rice, tofu or potatoes to make sushi, fishballs or fishcakes. Filled with protein, calcium, phosphorous and vitamin D, cheese is great for healthy bone growth. How to prepare it: Children may prefer the milder taste of mozzarella and American or European cheeses, such as edam or emmental. Serve them in slices, cubes or strings. You can also toast cheese on bread or pizza (it tones down the smell), or grate and sprinkle over pasta, fried rice or noodles. It is packed with nutrients that optimise eye development and ward off cell damage. It also provides lots of fibre that boosts digestion and prevents constipation. How to prepare it: Cut broccoli into small florets and blanch. Serve with dips (salad dressing, cheese sauce, tomato ketchup or sesame sauce) or sprinkle grated cheese over it. You can also use the vegetable as a topping for pizza or a filling for omelettes. These include carrot, pumpkin, sweet potato, tomato and papaya, which are high in beta carotene and other carotenoids that are converted into active vitamin A in the body. Vitamin A is essential for good skin and vision, growth and repair of body tissues. How to prepare it: Cut vegetables into sticks and steam them before serving with dips like salsa, cheese sauce or hummus. Turn fruits into ice popsicles by cutting them into cubes and freezing them. See previous page for more healthy diet tips.